If you are new to the world of online gambling or are a new player thinking of joining online casino sites, you may have a lot of questions about free bonuses. You might wonder if these bonuses from the casino are actually free or if there are conditions attached to them. It is important to understand how to fulfill wagering requirements in order to protect yourself in the increasingly competitive industry of online casinos. A wagering requirement is usually attached in the terms and conditions to a bonus. It may require a player to make a minimum bet or deposit in order to be eligible for the said bonus. When signing up for online casinos remember to use your common sense; if a bonus offer is very large, it may not be worth the minimum wagering requirements for that bonus. Some casino sites are known to offer bonuses that require up to 55 times the bonus amount as a wagering requirement. In this case, if a £100 bonus is offered, a player may have for fork out £5500 before they can cash out that bonus. Before online gambling became prevalent, brick and mortar casinos used to offer free bonuses with pretty much no conditions attached as an incentive or gift to frequent customers. But in the online world, casino bonuses are offered with a wagering requirement to offset their risk of offering free credit while maintaining a fun atmosphere for players. Wagering requirements mitigates risk, so the casinos are still profitable after offering these free bonuses. Are the wagering requirements in the fine print? The short answer is yes. The long answer is that it may vary from site to site. While some sites only have wagering requirements in their terms and conditions, more transparent sites may list those requirements on the same page as their promotion or in a more accessible area of the site. Make sure you are familiar with the conditions attached to any bonus before you accept it. While some casinos only require a certain deposit or wagering amount, others may also require a player to play a certain number of hands or time period in order to redeem bonuses. In certain online casinos, different games may count towards your wagering requirement differently. Some games like blackjack may only have a quarter of the total money spent qualify towards the wagering requirement and some may be excluded altogether. Usually, money spent wagering in slots will count 100% towards the wagering requirements. An online casino offers the bonus of 100% up to £2000. This means that every pound spent on the initial deposit will be matched at a 1:1 rate by the casino for a maximum of an extra £2000. 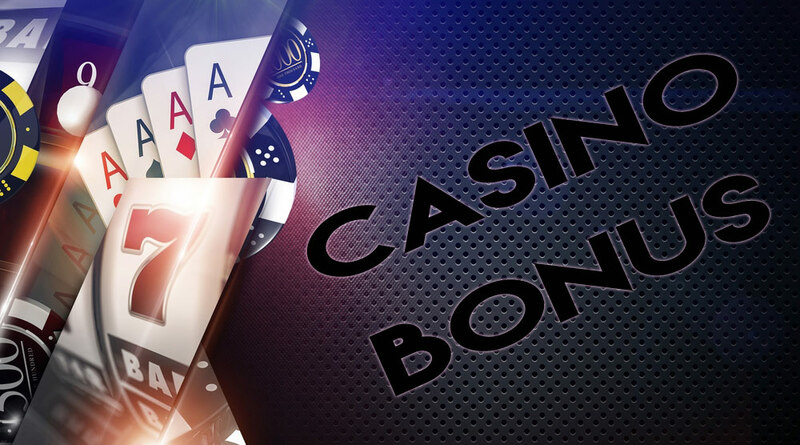 The best way to maximize this kind of bonus is to deposit as much money as you can afford so the casino has to match your deposit amount to its maximum obligation. In this particular example, it would be a good idea to have the casino give you £2000 in free credit. Remember to play responsibly and only spend as much as you can afford. We can keep online casinos fun for everyone!